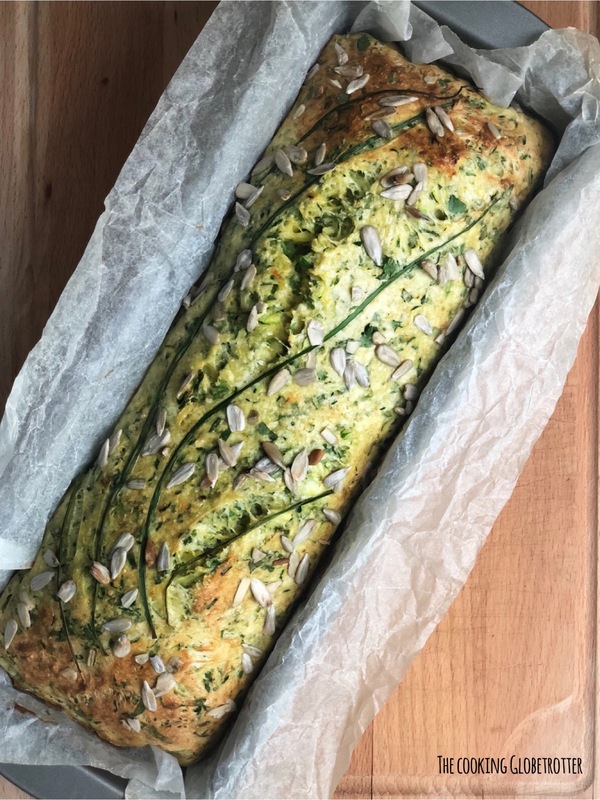 I am very proud of this herby bread as it made to the top 10 of competition in the foodblogliebe.de community about herbs. And it truly is packed with them. 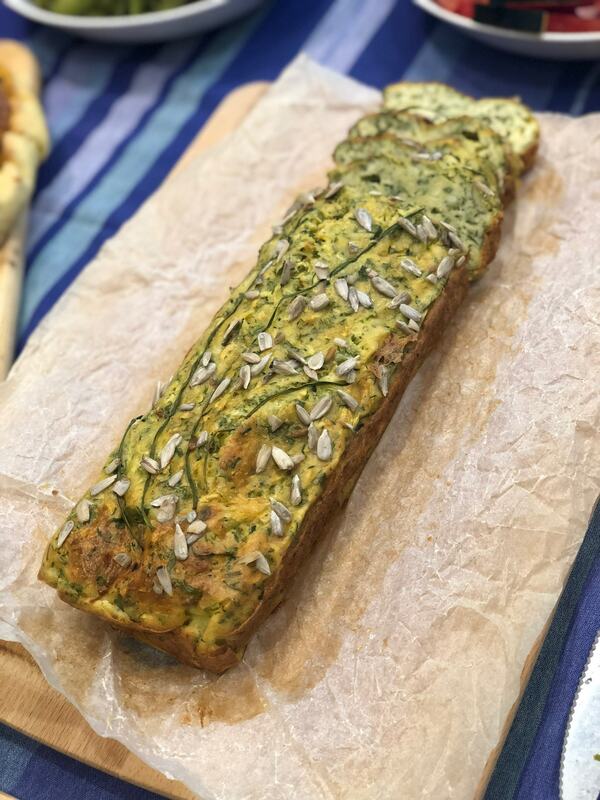 Many dear friends have baked this high protein bread at home, some even made a vegan and dairy free version and it always turned out to be beautiful and delicious! It’s not really a bread, as it consists mainly of eggs and ricotta, so maybe it’s more like a loaf or protein bread?? Well, it’s really yummy and easy, so who cares how you call it, right?? Perfect in hot summer days, great cold as well. Goes well with dips and cold cuts. Ideal after the holidays when looking for healthier choices. 1. Heat the oven at 200 degrees. 2. Grate the zucchini and squeeze out the water – best way to do this is either in a tea towel or in a strainer. 3. Transfer the grated and squeezed zucchini in a big bowl. 4. Add the chopped herbs (3 handfuls), salt (6g), eggs (6), flour (160g), baking powder (1tsp), pepper to taste and stir well. 5. Once combined add the ricotta and stir. 6. Line a plum cake baking tin with baking paper (wet and squeezed). 7. Pour in the mixture. 8. Sprinkle the seeds on the top and if you like a couple of chives to decorate (as in the picture above). 9. Bake in the preheated oven for 25 Minutes. 10. Let it cool and slice. Heat the oven at 200 degrees. Grate the zucchini and squeeze out the water - best way to do this is either in a tea towel or in a strainer. Transfer the grated and squeezed zucchini in a big bowl. Add the chopped herbs (3 handfuls), salt (6g), eggs (6), flour (160g), baking powder (1tsp), pepper to taste and stir well. Once combined add the ricotta and stir. Line a plum cake baking tin with baking paper (wet and squeezed). Sprinkle the seeds on the top and if you like a couple of chives to decorate (as in the picture above). Let it cool and slice. Turn it into a vegan dish by using tofu instead of ricotta. Make it gluten-free using almond flour! 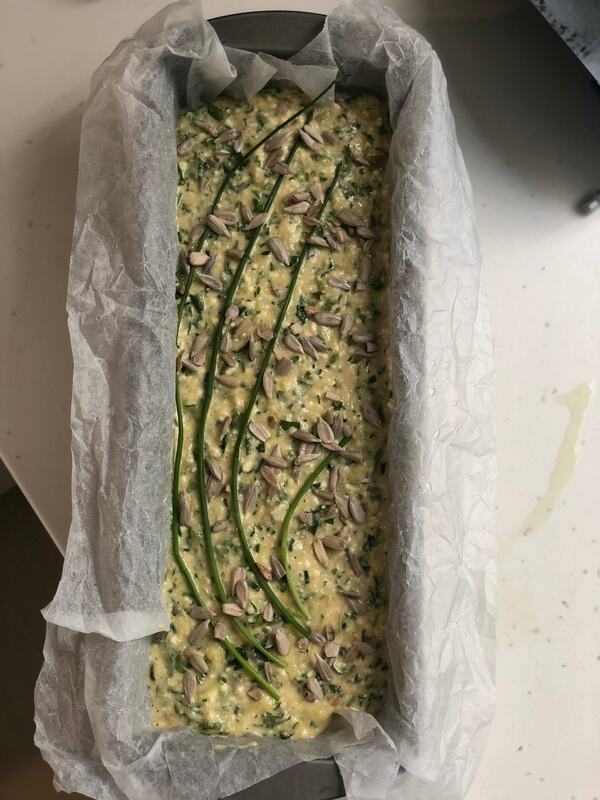 Looking for other spring bread ideas? Try my wild garlic buns!